In February, the new VA Secretary, Robert MacDonald, claimed the agency fired 60 people for lying about the bad service they were giving our vets. Then the agency back pedaled and said it was only fourteen. Now that documents are available, it looks like there were only three fired. I like Peggy Noonan’s idea. We need someone who knows how to clean up messes. Mr. Romney has demonstrated a real genius for turning around fledgling businesses and organizations, like the Winter Olympics. He is a topflight CEO. First let me say I agree with most of the post. 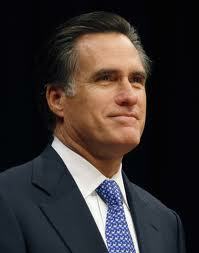 Tapping Romney for the job would be excellent. He’s an honorable & competent man. The only question I have is with your statement about rationing. I’m not saying it’s incorrect, but when it comes to healthcare doesn’t rationing happen anyway? If we leave healthcare to the free market we will have rationing–by the poor. And some of them would be vets. I’m not a socialist. But claims like this stick in my craw. If you want to get rid of rationing get rid of all of it. Medicare, Medicaid & VA benefits. That’s the logical conclusion isn’t it? The simple answer is yes. I’ll try to respond a little more fully in a new blogpost later today. Thanks! As a veteran as well as a former VA hospital employee, I experience huge anguish when i hear of the travails of the V.A. There are many/most VA employees who serve if not heroically, at least ably and competently with a genuine desire to serve this special group. I tend to agree that leadership is a key factor in making this, or any other large system work adequately. I find it interesting that the head of the secret service and the head of the V.A. are both in hot water at the moment. IRS is another example of an agency in desperate need of new and competent leadership. Thanks for weighing in, Tom, with from the perspective of one who has worked for the VA.
You know Tom, I was actually working for the VA about the time we made the decision to invade Iraq. Now, I was not medical or administrative, but even with my limited knowledge about that sort of thing, I remember thinking…Hmm I bet there’s going to be lots more patients around here in a bit; I sure hope somebody is planning for that. So, yes to be fair, President Obama did not create the VA crisis as we know it. I’m a veteran myself, and the stuff some of our returnees have had to live with is shameful. Surely if the guy running a retail store and cafeteria could predict that future, lawmakers elected and paid to take care of us could have also. Thanks for weighing in, Wally. We’ve got to take better care of our veterans. The lying and the spinning at the VA has got to stop.